The 2017 Line Card is Available Now! Aplex, Aurora, Fairbanks Morse & Myers Now Available! MasterFlo Pump and Pentair Industrial Pumps have teamed together to provide solutions for your industrial water and fluid management needs. No matter what your application may be, how big or how small the job, one of these four brands will have something to meet your water and fluid system needs. Aurora Pump began manufacturing pumps in 1919. From the onset, Aurora has devoted itself to the design and manufacturing of a wide range of pumps and systems used in an variety of applications and markets. Prime examples include: process water supply, spray booth, cooling water supply, transfer and recirculation pumping equipment just to name a few. Fairbanks Morse offers pump solutions of proven superiority for such industrial applications as steel mills, pulp and paper, marine, mining, food manufacturing, fish hatcheries, and manufacturing in general. Each of these industries have unique needs for pumps, ranging from low capacity pumps for the transfer of liquids during manufacturing operations, to high capacity pumps used for water stream transfer, storm water, river intake, and more. Introducing the SP SERIES, a self-priming companion to the popular DB Series! Powerful - The SP’s careful engineering resulted in a unique design that allows it to create a powerful, deep vacuum in the suction piping. This allows it to lift fluid from as deep as 25 feet (7.6 m) below the pump. Superior lift and high working pressure capabilities allow SP Series to pump high specific gravity fluids like sulfuric acid, phosphoric acid and sodium and potassium hydroxide with ease. Fast – SP Series is capable of lifting fluids from 18 feet (5.5 m) in less than 90 seconds, resulting in less time waiting, more time pumping. Run dry ability - Run dry ability helps protect the pump from system upset or operator error and eliminates costly repairs and downtime. 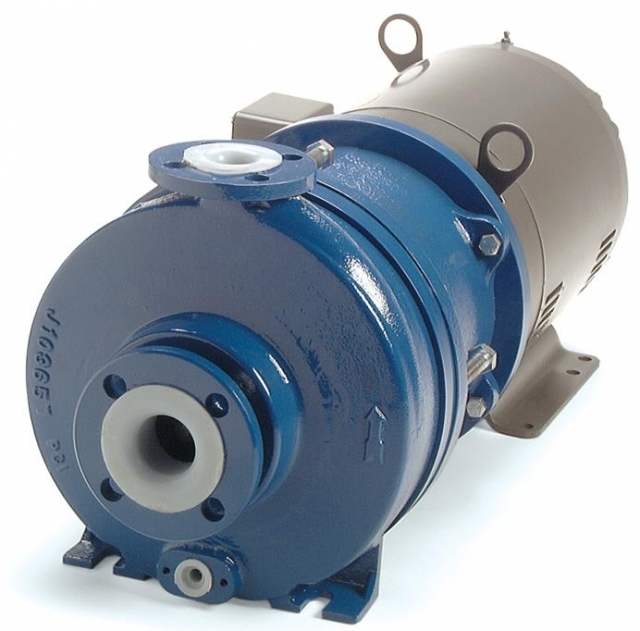 Best warranty - Careful attention to detail results in a mag drive pump that is the most reliable and efficient on the market, offering five years of peace of mind. Best corrosion resistance - Durably molded from corrosion resistant polypropylene or PVDF, the SP Series handles the most corrosive chemicals with ease and prevents downtime due to pump corrosion problems. Multiple connections - NPT or BSP threads, adjustable flanges or union connections make it easy to connect to any system reducing installation cost and time. Standard NEMA or IEC motors – The SP Series mounts to all standard motors.